A commemoration service has been held in Larne to mark the 66th anniversary of the MV Princess Victoria ferry disaster. The Mayor, Councillors and special guests attended the poignant memorial on Thursday (January 31). Family members of those who lost their lives in the tragedy laid wreaths at the memorial. More than 130 people perished when the vessel sank between Larne and Stranraer in January 1953. 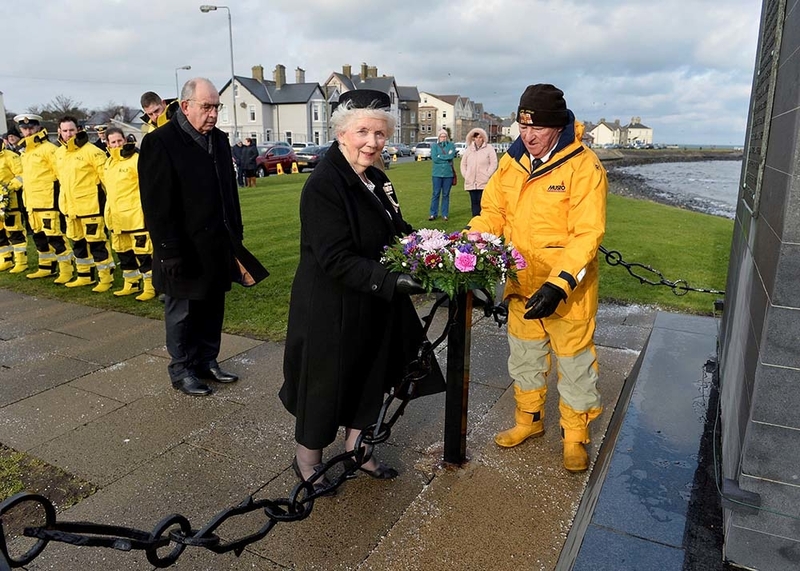 Mayor of Mid and East Antrim, Councillor Lindsay Millar, said: “This is the 66th anniversary of this devastating tragedy which had a huge impact on Larne with 27 of the victims being from the town. Despite the valiant efforts of her crew, lifeboat men and other seafarers, the Princess Victoria foundered off the coast of Northern Ireland, within sight of the Copeland Islands near the entrance to Belfast Lough. Some 177 people were on board including 49 members of crew with the disaster claiming the lives of 134 people. All women and children on board were lost in this tragedy. The author of Death In The North Channel: The Loss Of The Princess Victoria, Stephen Cameron, described the 1953 disaster as a “generation’s Titanic”.